Mouse anti human DOK2 antibody recognizes docking protein 2, also known as dok-2 or downstream of tyrosine kinase 2, p56. This antibody has been extensively validated for western blotting using whole cell lysates. Mouse anti Human DOK2 antibody recognizes docking protein 2 (DOK2), also known as dok-2 and downstream of tyrosine kinase 2. Encoded by the DOK2 gene, docking protein 2 is constitutively tyrosine phosphorylated in hematopoietic progenitors isolated from chronic myelogenous leukemia (CML) patients in the chronic phase. It may be a critical substrate for p210 (bcr/abl), a chimeric protein whose presence is associated with CML. This encoded protein binds p120 (RasGAP) from CML cells (provided by RefSeq, Jul 2008). 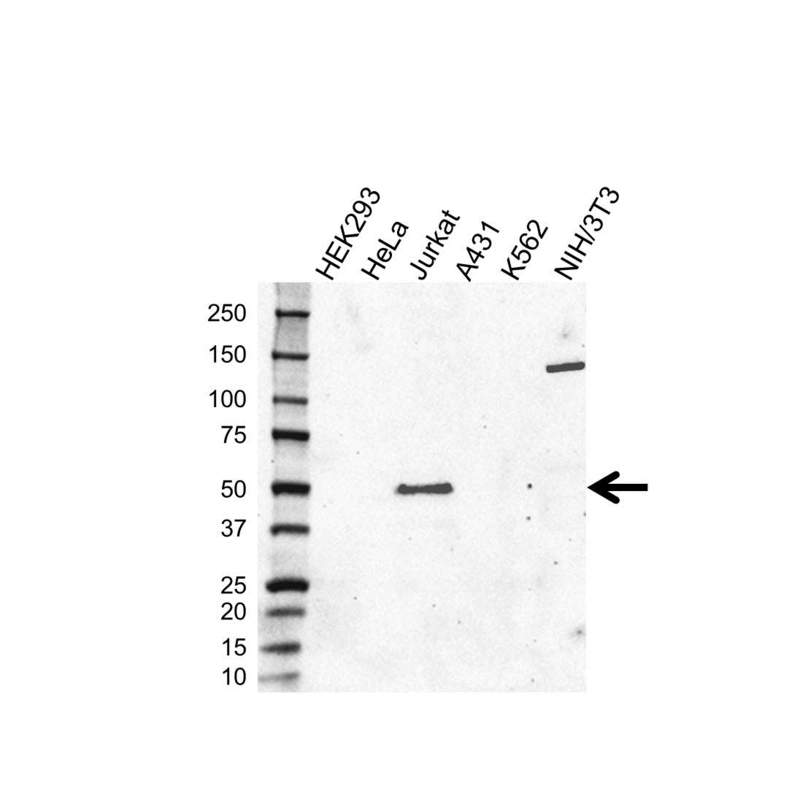 Mouse anti Human DOK2 antibody detects a band of 50 kDa. The antibody has been extensively validated for western blotting using whole cell lysates.